When faced, in 1793, with the prospect of defeat, the National Convention issued an appeal for a levée en masse, which, theoretically, placed the entire population at the disposal of France’s war machine. Thus was born the modern idea of the nation in arms. This concept has proved to have an enduring legacy, and has been adapted to suit a wide variety of contexts and time periods. This article explores the birth, development and transmission of the levée en masse. It seeks to understand why the concept survived beyond the 1790s and how it remained a compelling instrument of mass mobilisation in the nineteenth and twentieth centuries. At its most apparent and superficial level, this compelling and extraordinary legislation sought to assemble recruits for an army of 750,000 men, and to create a logistic framework of sufficient magnitude to support such an unprecedented military establishment.4 Although these tangible goals were of fundamental importance, this mass mobilisation was to be much more than a mere drive to extract manpower and strategic resources from the French population. Compulsory military service, or at least the sovereign’s right to compel his subjects to enlist in the armed forces, was nothing new in either French or European history. Indeed, the ancien régime monarchy’s imperfect recruitment and militia system had enabled France to field some of the largest armies of the early modern period.5 Despite the apparent achievements of Louis XIV’s (1638–1715) armies during the grand siècle, by the late eighteenth century it was felt that fundamental reforms were necessary.6 Military analysts like Joseph Servan (1731–1807) and the counts of Guibert (Charles Benoît, 1715–1786), and Saint Germain (Claude Louis, 1707–1778), affirmed that institutional reorganisation, or the introduction of Prussian-style tactics and discipline, was insufficient to break the stagnation into which venality, poor leadership and ill-trained troops had plunged the royal army-of-the-line.7 A new military ‘spirit’ had to be instilled into the nation at large. The levée en masse was the culmination of this long-standing call for the creation of a new military culture. The Constituent Assembly had already introduced the principle of merit in the promotion system of officers. There had also been experiments in creating volunteer legions and a more humane code of military discipline. Despite the publicity accorded to these innovations, their efficacy on the battlefield failed to materialise.9 The fall of the Constitutional Monarchy and the radicalisation of Republican politics gradually allowed the Jacobins to urge more far-reaching reforms.10 They felt that previous attempts had not gone far enough in bringing the spirit and energy of the 1789 Revolution to the army. They viewed with suspicion bordering on obsession the remaining noble officers and white-uniformed veterans of the old royal army. They were certain that battlefield failures were due to a refusal, on the part of traditional elements within the military, to push forward reforms. Only by imbuing the army with revolutionary zeal could this situation be reversed. 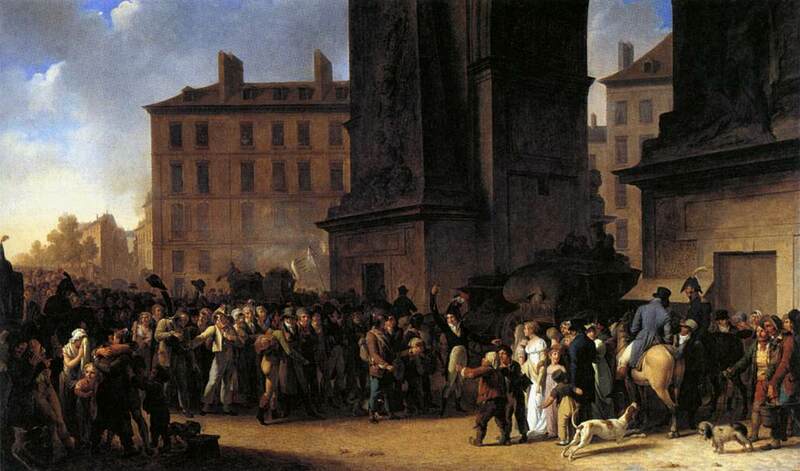 The Jacobins claimed the levée en masse was not an instrument of state coercion, but an extraordinary recruitment measure intended to harness the French people’s pre-existing enthusiasm, patriotic fervour and ideological commitment to the Revolution.11 The levée was a complex formula in which political ideology was transformed into a secret weapon which would ultimately result in the Revolution’s triumph over ancien régime despotism. Studies on desertion and resistance to conscription show how fragile the credibility of the levéecould be when confronted with the hostility of peasant archaism and other regional particularisms.16 It is also uncertain whether the citizen soldier represented a qualitative leap in the actual experience of soldiering. Depressingly, the enduring efficacy and professionalism of mercenaries would seem to work against this assumption. Indeed, the troops of ancien régimeprinces resisted the onslaught of France’s revolutionary forces for the better part of a decade. These words highlight the sheer conceptual malleability of the levée. Like the declaration of 1793, this manifesto clearly tries to harness the power of an entire people voluntarily rising up against an invader who threatens to visit upon them not only material destruction, but virtual cultural annihilation. However, unlike its Jacobin and secular counterpart, the defence of the fatherland is inextricably linked to the protection of Orthodox Christianity. The power of the image of the nation in arms lies in its flexibility and adaptability. It is a compelling instrument which can be utilised in extremely different contexts and in the defence of apparently conflicting ideals. Nationalism, ethnicity, religion, dynasty, state and radical ideologies, like socialism, are all elements which have found accommodation under this wide umbrella. Indeed, the memory of the levée en masse of 1793 and the application of nationwide military mobilisation was to survive well beyond the Napoleonic wars. The sovereigns of Restoration Europe maintained semi-conscript standing armies and allowed for the gradual bourgeoisification of their officer corps. In some ways the revolutionary wars achieved what the ancien régime dynasties had been unable to accomplish in the eighteenth century,23 that is to say, the creation of a stable recruitment system to feed their standing armies on an annual basis, regardless of the regional particularisms and exemptions which continued to characterize their dominions. This vision of the army, as the privileged breeding-ground of a sense of national identity, was not the exclusive preserve of the semi-constitutional monarchies of central Europe. France was equally interested in inculcating a sense of national republicanism into its citizenry.30 Here the armed forces were a particularly fertile ground for such experiments. This was especially the case after the universal conscription law of 1905 did away with the last remaining exemptions from national service.31 France was the country which had unleashed the legend of the levée, and was in a privileged position, as it could use this historical legacy in a more direct manner. Ernest Lavisse’s (1844–1922) school textbooks, and other pedagogical works, stressed the levée as the instrument through which Revolutionary France’s glorious martial past had emerged.32 They also hinted, in a far from subtle fashion, that this proud history should provide inspiration for the future. Could it not be the means of erasing the memory of the defeats of 1870 and for the recovery of the lost provinces of Alsace-Lorraine? The Decline of the Levée? 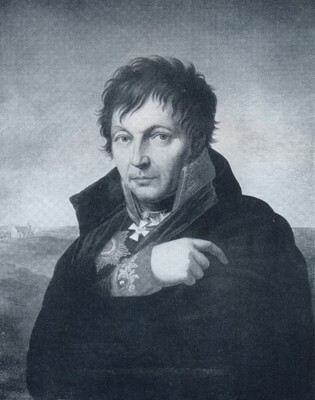 John Horne’s work on the First World War has argued that the memory of 1793 continued to exert a powerful, if ambiguous, influence on the manner in which the Third Republic tried to justify its own attempt to mobilise the entire nation in the defence of the Patrie.33 One of the most difficult issues to resolve in 1916, which had not been featured in the debates of the 1790s, was whether the male non-combatant was a legitimate participant in the nation’s armed struggle or merely an embusqué shirking his duties by avoiding the dangers of the front line.34 The experience of total and industrial warfare during the twentieth century, with its high casualty rates, long duration, and, in some cases, the appeal to a pseudoscientific racial nationalism, led to disillusionment with the image of the nation in arms. Some would argue that the gradual abandonment, on the part of continental Europe, of compulsory military service is evidence of the weakening appeal of the levée.35 Such an argument, while forceful, is certainly one-sided, as it ignores the continuing appeal to popular consensus and liberal values which Western democratic states use to justify their military interventions outside their borders. There is much in this language which would have been familiar to the citizen-soldiers of 1793. Still present is the idea of mass popular support, and that the people fight spontaneously rather than through coercion. The Marxist jargon and the modern vision of economic oppression might have puzzled the Jacobins, but at its core remains the message that he who fights for a just cause, with the support of the masses, will be triumphant even against insurmountable odds. This brief survey of the transcultural impact of the levée en masse cannot account for all the variations in content, style, image and perception which have characterised its two centuries of existence. Anyone wishing to be exhaustive and comprehensive faces a dizzying and unnerving task in trying to come to grips with such a vast and complicated subject. It is surely this mercurial and unstable nature which has been at the heart of its adaptability and longevity. Above all else, it is the ability of the levée to persuade its public that it provides an effective equation through which popular sentiment is transformed into the decisive factor in the outcome of warfare that remains of fundamental importance. 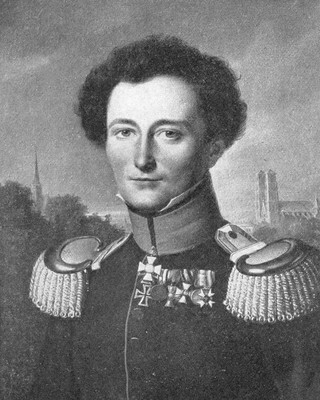 Clausewitz, Carl von: On War, ed. by Anatol Rapoport, London 1968. Guevara, Ernesto “Che”: Guerrilla Warfare, Havana 2006. 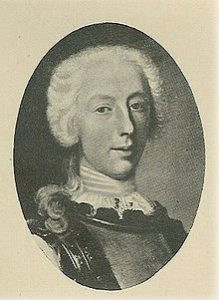 Guibert, Jacques-Antoine-Hippolyte, Comte de: Essai général de tactique: précédé d’un discours sur l’état actuel de la politique et de la science militaire en Europe: avec le plan d’un ouvrage intitulé: La France politique et militaire, Liège 1775, vol. 1–2. Jomini, Antoine-Henri, Baron de: The Art of War, ed. by John-Allen Price et al., Radford, VA 2008. Robinson, James Harvey (ed. ): Readings in European History: A collection of extracts from the sources chosen with the purpose of illustrating the progress of culture in Western Europe since the German Invasions, London 1906, vol. 2. Servan de Gerbey, Joseph Marie: Le soldat citoyen: Ou Vues patriotiques sur la manière la plus avantageuse de pourvoir à la défense du royaume, Neufchâtel 1780. Anderson, Mathew S.: War and Society in Europe of the Old Regime 1618–1789, London 1988. Bertaud, Jean-Paul: La Vie Quotidienne des Soldats de la Révolution 1789–1799, Paris 1985. Bertaud, Jean-Paul: The Army of the French Revolution: From Citizen-Soldiers to Instrument of Power, Princeton, NJ 1979. Bertier de Sauvigny, Guillaume: The Bourbon Restoration, Philadelphia, PA 1966. Black, Jeremy: A Military Revolution? Military Change and European Society 1550–1800, London 1991. Blanning, Timothy C. W.: The French Revolutionary Wars 1787–1802, London 1996. Bodinier, Gilbert: Les Gardes du Corps de Louis XVI, Paris 2005. Brown, Howard G.: War, Revolution and the Bureaucratic State: Politics and Army Administration in France 1791–1799, Oxford 1995. Cannadine, David: The Decline and Fall of the British Aristocracy, London 1990. Chickering, Roger: Imperial Germany and the Great War 1914–1918, 2nd edition, Cambridge 2004. Clark, Christopher: Iron Kingdom: The Rise and Downfall of Prussia 1600–1947, London 2006. Collins, James: The State in Early Modern France, 2nd edition, Cambridge 2009. Craig, Gordon A.: The Politics of the Prussian Army 1640–1945, Oxford 1955. Duggan, Christopher: Francesco Crispi: from Nation to Nationalism, Oxford 2002. 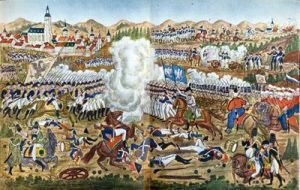 Esdaile, Charles J.: Fighting Napoleon: Guerrillas, Bandits and Adventurers in Spain 1808–1814, London 2004. Forrest, Alan: Déserteurs et Insoumis sous la Révolution et l’Empire, Paris 1988. Forrest, Alan: The Legacy of the French Revolutionary War: The Nation in Arms in French Republican Memory, Cambridge 2009. Forrest, Alan: Napoleon’s Men: The Soldiers of the Revolution and Empire, London 2002. Forrest, Alan: The Soldiers of the French Revolution, London 1990. Forrest, Alan: La patrie en danger: The French Revolution and the First Levée en Masse, in: Daniel Moran et al. (ed. ): The People in Arms: Military Myth and National Mobilization since the French Revolution, Cambridge 2003, pp. 8–32. Harari, Yuval Noah: Martial Illusions: War and Disillusionment in Twentieth-Century and Renaissance Military Memoirs, in: The Journal of Military History 69, 1 (2005), pp. 43–72. Heuser, Beatrice, The Evolution of Strategy, Thinking War from Antiquity to the Present, Cambridge 2010. Hof, Ulrich Im: The Enlightenment, Oxford 1994. Holroyd, Richard: “The Bourbon Army: 1815–1830”, in: The Historical Journal 14, 3 (1971), pp. 529–552. Horne, John: “L’impôt du sang”: Republican Rhetoric and Industrial Warfare in France: 1914–1918, in: Social History 14, 2 (1989), pp. 201–223. Horne, John: Defining the Enemy: War, Law and the Levée en masse from 1870 to 1945, in: Daniel Moran et al. (ed. ): The People in Arms, Military Myth and National Mobilization since the French Revolution, Cambridge 2003, pp. 100–123. Levi, Margaret: Consent, Dissent and Patriotism, Cambridge 1997. Lieven, Dominic: Russia Against Napoleon: The Battle for Europe 1807 to 1814, London 2009. Lynn, John A.: Giant of the Grand Siècle: The French Army 1610–1715, Cambridge 2006. Lynn, John A.: Bayonets of the Republic: Motivation and Tactics in the Army of Revolutionary France, 1791–1794, Oxford 1996. Moran, Daniel et al. (ed. ): The People in Arms, Military Myth and National Mobilization since the French Revolution, Cambridge 2003. Moran, Daniel: Arms and the Concert: The Nation in Arms and the Dilemmas of German Liberalism, in: Daniel Moran et al. (ed. ): The People in Arms, Military Myth and National Mobilization since the French Revolution, Cambridge 2003, pp. 49–74. Muir, Rory: Tactics and the experience of battle in the age of Napoleon, London 1998. Nora, Pierre: Lavisse, the Nation’s Teacher, in: Pierre Nora (ed. ): The Realms of Memory: the Construction of the French Past, New York, NY 1996, vol. 1–3. Ozouf, Jacques and Mona: Le Tour de la France par deux enfants, in: Pierre Nora (ed. ): The Realms of Memory: the Construction of the French Past, New York, NY 1996, vol. 1–3. Paret, Peter: Understanding War: Essays on Clausewitz and the History of Military Power, Princeton, NJ 1992. Paret, Peter: Yorck and the era of the Prussian reform 1807–1815, Princeton, NJ 1966. Paret, Peter: Nationalism and the Sense of Military Obligation, in: Military Affairs 34,1 (1970), pp. 2-6. 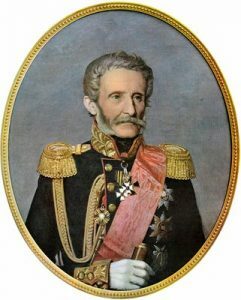 Peruta, Franco della: Esercito e Società nell’ Italia Napoleonica: Dalla Cisalpina al Regno d’Italia, Milan 1996, vol. 3. Pflanze, Otto: Bismarck and German Nationalism, in: The American Historical Review 60,3 (1955), pp. 548-66?. Rink, Martin: Vom “Partheygänger” zum Partisanen: Die Konzeption des kleinen Krieges in Preussen 1740–1813, Frankfurt am Main 1999. Röhl, John C. G.: Wilhelm II: The Kaiser’s Personal Monarchy 1888–1900, Cambridge 2004. Rothenberg, Gunther E.: Napoleon’s Great Adversary: Archduke Charles and the Austrian Army 1792–1814, London 1982. Scott, Samuel F.: The Response of the Royal Army to the French Revolution: The Role and Development of the Line Army 1787–1793, Oxford 1978. Smith, Denis Mack: Italy and its Monarchy, London 1989. Smith, Leonard V. / Audoin-Rouzeau, Stéphane / Becker, Annette: France and the Great War, Cambridge 2003. Sked, Alan: The Survival of the Habsburg Empire: Radetzky, the Imperial Army and the Class War 1848, London 1979. Weber, Eugen: Peasants into Frenchmen: The Modernization of Rural France 1870–1914, Stanford, CA 1976. Wilson, Peter H.: From Reich to Revolution: German History 1558–1806, London 2004. Bodinier, Les Gardes 2005, pp. 43–60; Scott, Line Army 1978, pp. 81–123. Blanning, Revolutionary Wars 1996, pp. 98–99. Bertaud, Citizen-Soldiers 1979, pp. 104–105. Ibid, pp. 113–143; Forrest, Levée en Masse 2003, pp. 8–32. Paret, Understanding War 1992, pp. 53–57; Anderson, War and Society 1988, pp. 111–128; Black, Military Revolution 1991; Wilson, Reich 2004, pp. 225–234; cf. Howard, War 1976, pp. 20–74; Lynn, French Army 2006, chapters 10, 11. Collins, Early Modern France 2009, pp. 59–70. Scott, Line Army, pp. 26–45; Guibert, Essai général de tactique 1780, pp. 37–97. Hof, The Enlightenment 1994, pp. 213–220. Blanning, Revolutionary Wars 1996, p. 101; Lynn, Bayonets 1996, pp. 163–182; Forrest, French Revolution 1990, pp. 89–124, 192–197; Muir, Tactics 1998, pp. 199–200. Forrest, Levée en Masse 2003, pp. 12–14; Bertaud, Citizen-Soldiers 1985, pp. 97–132; Brown, Army Administration 1995, pp. 65–97. Moran, The People in Arms 2003, pp. 1–7. Forrest, Napoleon’s Men 2002, pp. 8–9. Ibid, pp. 6–11; Bertaud, Soldats de la Révolution 1985, pp. 53–54. Clausewitz, On War 1968, pp. 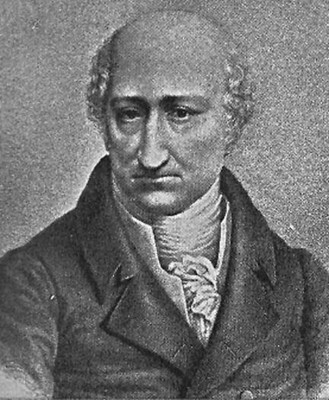 295–296, 384–386; Jomini, Art of War 2008, pp. 16–24. Blanning, Revolutionary Wars 1996, pp. 86–88, 166–128; cf. Lynn, Bayonets 1996, p. 278. Forrest, Déserteurs 1988; Peruta, Italia Napoleonica 1996, chapters 2, 4. Craig, Prussian Army 1955, pp. 37–67; Rothenberg, Great Adversary 1982, pp. 134–158; Lieven, Russia Against Napoleon 2009, pp. 102–137. Paret, Prussian Reform 1966, pp. 140–153, 217–245. Esdaile, Guerrillas 2004, pp. 27–60; Moran, The People in Arms 2003, pp. 53–67; Rink, “Partheygänger” 1999. Heuser, Evolution of Strategy, Part III. “Great sacrifices will be demanded from every class of the people, for our undertaking is a great one, and the number and resources of our enemies far from insignificant. But would you not rather make these sacrifices for the fatherland and for your own rightful king than for a foreign ruler, who, as he has shown by many examples, will use you and your sons and your uttermost farthing for ends which are nothing to you? Faith in God, perseverance, and the powerful aid of our allies will bring us victory as the reward of our honest efforts”. Friedrich Wilhelm III, An Mein Volk, in Robinson, European History 1906, vol. 2, pp. 522–523. Lieven, Russia against Napoleon 2009, p. 217. Sauvigny, The Bourbon Restoration 1966, pp. 282–288; Holroyd, The Bourbon Army 1971, pp. 529–552; Cannadine, British Aristocracy 1990, pp. 264–280; Craig, Prussian Army, pp. 65–92; Sked, Habsburg Empire 1979, Part I.
Paret, Nationalism, 1970, pp. 2–6; Bismarck once stated “that the army was alone the bearer of the national ideal”, see Pflanze, Bismarck 1955, pp. 548–566. Duggan, Francesco Crispi 2002, p. 540. Smith, Italy and its Monarchy 1989, pp. 75–80. Röhl, Wilhelm II 2004, pp. 291–294. Clark, Iron Kingdom 2006, pp. 559, 596–611; Chickering, Imperial Germany 2004, pp. 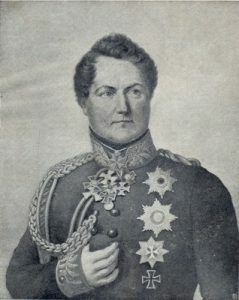 32–40; Craig, Prussian Army 1955, pp. 278–254. Paret, Nationalism 1970, pp. 2–6. Weber, Modernization of Rural France 1976, pp. 292–302. Forrest, Revolutionary War 2009, p. 153. Ozouf, Le Tour de la France 1996; Nora, Lavisse 1996, vol. 3, pp. 128–148, 151–184. Horne, Defining the Enemy 2003, pp. 112-116. Horne, L’impôt du sang, pp. 201–223; Smith, France and the Great War 2003, pp. 42–75. Levi, Patriotism 1997, pp. 185–190, 208–219; Harari, Martial Illusions 2005, pp. 43–72. For a non-European perspective see chapters by Waldron, Lockhart and Proch in Moran, The People in Arms 2003. Guevara, Guerrilla 2006, p. 16. This entry was posted in Europe, France, History. Bookmark the permalink.